Choice of your own organic vegetable garden to grow natural and healthy vegetable can be the best way to keep a radiant health. Going organic way mean that the vegetables and herbs will not have the detrimental effects of chemicals and herbicides. 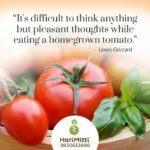 There is a challenge for making a good organic garden which can be overcome with the help of expert gardeners of HariMitti. We are here with a mission to replenish the mother earth with green and lush nature. We provide the techniques to develop beautiful gardens free form all pests and weeds and help to tackle the challenges of irritating insects. The best solutions can be offered by our team has years of experience and expertise in tackling issues of unfavorable weather and condition of the soil. You can get a wonderful service from an expert in the gardening field to grow a wide choice of vegetables, herbs and spice plants. Now you can grow vegetables and herbs in an urban residence, in housing complexes with attached gardens, in normal gardens, in the balcony, at rooftops. People can get the excellent quality of vegetables and herbs with purest ingredients when they are able to grow it with the help of expert gardeners. 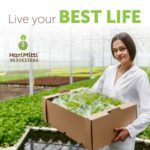 You will have a choice of growing more than forty types of vegetable, herbs and spice plants when you take the help of HariMitti. You can select what you want to grow and if you don’t have enough space you can select wooden or plastic crates easily. These units are compact and portable and can sit easily in terraces or balconies or even at the window sills. •	Free from harmful ingredients: You should consume vegetables and herbs that are free from chemicals and pesticides which you cannot get when you buy from the market. •	Gardening is an excellent hobby: If you can do your own gardening, it is one of the best hobbies for you and you can pass your time constructively. Also, gardening involves playful physical exercise, and it is very good for your health too. 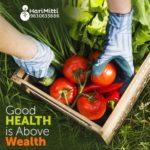 •	You can save a lot of money: The market price of the vegetables is soaring high and you are spending huge money on harmful vegetables and herbs. When you make your own garden, you can get genuine vegetables which give a delectable taste and good you and your family. 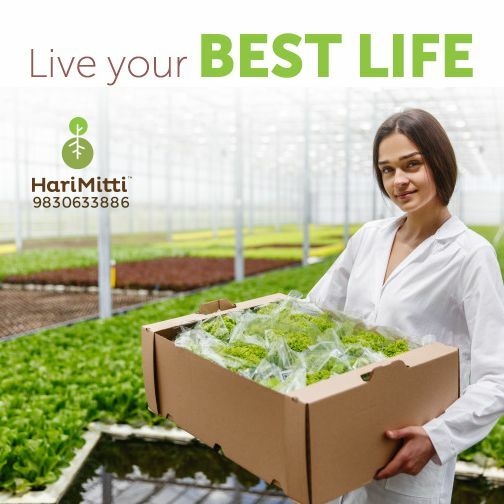 •	Excellent quality of seeds and saplings: Now you have the choice of getting genuine seeds and saplings for your garden from HariMitti. You can also get genuine guidance to know the procedures for developing an excellent garden in your own yard. You can also grow excellent organic vegetables and herbs if you have a small, medium or large garden space. We have the most premium saplings of seeds with us and these are absolutely natural and untouched. The customers are always offered the premium saplings and seeds that can be grown to get the premium trees. The concept of growing vegetables in a unique way is a science as well as an art and if executed properly can grow vegetables which you will love to taste. We help people take gardening as passion and teach them the technique to grow organic vegetable in abundance even if they have small space. 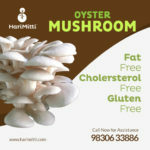 You can simply visit and choose what type of vegetables you will like to have and rest can be left to our team. The unique part is that the growing media which we provide is soilless and is composed of coco peat, microorganism, and vermicompost. This totally eliminates the risk of traces of toxins entering the plants from the soil. A light and highly capable of retaining water media provided by us helps the growth of excellent vegetables and herbs. A professional team of caretakers with wide experience is provided by us to take care of the needs of your garden. 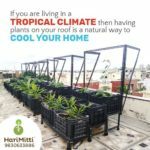 There is also a team of botanical doctors available with HariMitti who can provide suitable advice to you for the proper care of plants. Our rich credentials and excellent testimonials speak a lot for our achievement which is a result of consistent and arduous effort of our team.